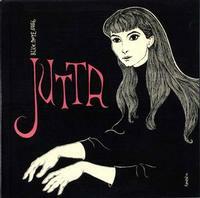 By the age of 13, Jutta Hipp had completed her classical piano studies. With the war in full flow she embarked on an art degree; when the country was partitioned she ?ed to the West, realizing the Russian occupying forces would expect her to produce only party political poster art. First Munich, then Frankfurt, finally the whole of West Germany. She got to know all the jazz pioneers of the day: Emil and Albert Mangelsdorff, Joki Freund – and above all Hans Koller, whose admiration of Lester Young had a profound influence on her own performance style.